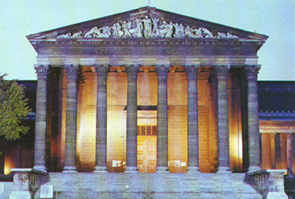 Budapest hosted first the Symposium and Exhibition series Symmetry of Structure in 1989. That was the birth of the International Society for the Interdisciplinary Study of Symmetry (ISIS-Symmetr), start of the journal Symmetry: Culture and Science (published 1990-), and of the formation of local Symmetry Circles in several cities around the world. Similar, widely attended events followed in Japan, the U.S.A., and in Israel. The investigation and conscious application of symmetry shaped a movement bringing together hundreds of artists, scientists, designers and engineers. 14 years later it is time to return to the origins in Europe. All kinds of interpretation, application and representation of symmetry (asymmetry, dissymmetry, broken symmetry, antisymmetry) and its related terms (like invariance, harmony, proportion, rhythm, conservation, self-organisation, etc.) are welcome. Special interest will be devoted to its relation to beauty and truth, to search for any perfect and good. As a result of the recent decades' publication, conference and exhibition activity one should not re-emphasise the role played by the concept and phenomenon of symmetry in linking sciences and arts, technology and design, different cultures. Several discoveries could not have been perfected without an impression induced by art, a symmetry consideration (e.g., the artificial retina by the combined digital-analogue chip reflecting the pattern of the cerebral asymmetry; the Fullerene molecule; quasicrystals, etc. ), not mentioning here the generalised symmetries, which guide all investigations in physics, looking for the structure of matter. Geometric art movements, inspired partly by design and science, experience a new Renaissance. Meetings of symmetrists have facilitated the birth of such interdisciplinary clues. It is expected that this tradition will continue at the Symmetry Festival in 2003. The Festival provides a forum for all who apply symmetry (and the related concepts, phenomena and operations, or just the lack of symmetry) in their creative work. It also gives a forum to those who work beyond the traditional boundaries of their respective background discipline, branch of art, technology, or design. Interdisciplinary and holistic approaches are preferred. The symmetry movement needs revitalisation and rejuvenation. Members of the International Advisory Board and our other senior colleagues are expected to invite their former and present students to join us at the Festival. analogies from the mentioned (and other) fields. New applications and approaches are also welcome. 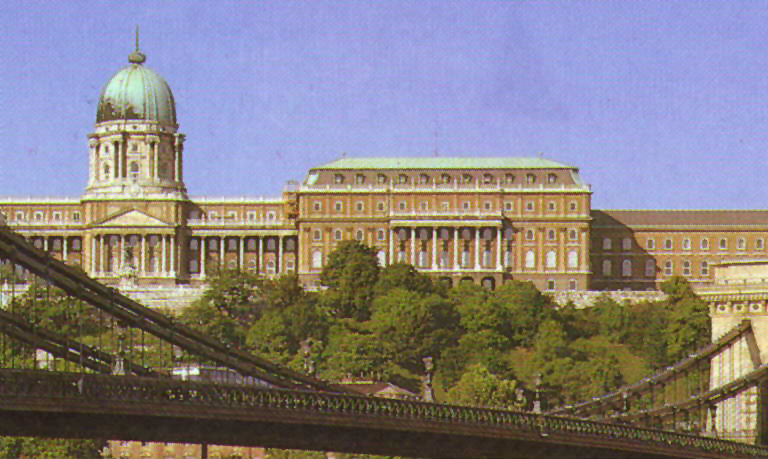 The Symmetry Festival 2003 will be organised in the same Conference Centre in Budapest, where the symposium, Symmetry of Structure, was organised in August 1989. The Conference will take place in the Agro Hotel Conference Center*** (Address: H-1121 Budapest, Normafa út 54), situated on Svab Hill, a nice, silent part of Buda, offering beautiful panoramas of the city. The hotel provides a theatre style conference room, further rooms with flexible walls for parallel sessions, exhibition space, panorama terrace, reception room. The nearby forest trails offer a wide range of sports and recreation. The downtown can be reached easily by car (15 min.) or by public transport (30 min.). Exhibition will be held in Millenaris Park, a brand new prestigious exhibition hall in the center of Budapest. Visitors from European countries (except Albania, Belarus, Bosnia, Moldova, Russia and Turkey) are not required visas. Participants from a few overseas countries will need a visa (please check beforehand). Hungary is in the temperate zone, weather in August is usually nice and warm. Daily temperature ranges from 25oC to 30oC and the relative humidity is below 40%. Overhead projector, data-beamer will be available in all session rooms. Slide projector will be available upon request. Authors wishing to give a computer presentation are kindly asked to bring their own laptop. Exhibitors: the delivery-, customs cost and administration must be arrange by the exhibitors. Most participants will arrive at the Budapest Ferihegy Airport. 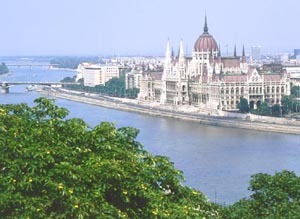 The simplest means of transportation to any place in Budapest is via minibuses. This door-to-door Airport Minibus Service is reasonably priced (approx. EUR 9-10) and is much more reliable than taxis. (straight forward and then to the right, approx. 250 m) to the Agro Hotel. the vehicles or at the entrance to the METRO. Please keep your ticket with you by the end of the rout/exit (Metro). For more information, consult the map of Budapest . *If you wish to subscribe for the journal, please visit: Symmetry: Culture and Science. Subscription fee is 78 EUR. participation at the Welcome Reception (in the Restaurant of Hotel Agro Conference Center (Conference site). Payments can be made by credit card (AmEx, Eurocard/Mastercard and Visa are accepted) or by bank transfer. “Symmetry 2003” SCOPE Co. Ltd. In the case of bank transfer the proof of remittance should be sent (preferably by fax: +36-1-386-9378) to the Symmetry Festival Secretariat. In order to be able to identify payments, please make sure that the name of each Conference participant is clearly indicated on all documents. - payments sent by bank transfer must be free of charges for the SCOPE Co. Ltd.
- for on-the-spot payments credit cards (AmEx, Eurocard/Mastercard, Visa) and cash (HUF) will be accepted. A block reservation at a negoitaated rate for Festival participants has been made in the Hotel Agro Conference Centre. Hotel of higher category in the downtown and budget accommodation next to the Festival venue will also be available. Transportation to the downtown: direct city bus connection (20 min), and cab shuttle service. Budapest airport can be reached by direct flights from over forty European (< 2-3 hours) and North American (< 8 hours) airports. Direct minibuses take the participants from the airport to the Hotel Agro. Room rates include breakfast and all taxes. - If no credit card data is available hotel booking will be arranged only after having received the registration fee. - The accommodation fee has to be paid directly to the Symmetry'2003 Conference Secretariat at the registration on the spot. Confirmation of registration and accommodation will be sent by mail upon receipt of the completed Registration and Hotel Reservation Form with credit card information or the proof of remittance in case of bank transfer. Please bring the confirmation with you to the Conference for presentation at the Registration Desk. Requests for refunds of the registration fee (less 20% administration charge) will be honored only if they are received before 01 August, 2003. No refunds will be given for cancellation requests received after that date or for non-attendance. T. Balogh, L. Beke, L. Cser, G. Darvas, P. Érdi, Z. Gáspár, A. Kálmán, M. Kedves, P. Michelberger, Z. Perjés, E. Szathmáry, K. Széles, T. Tarnai, E. Tusa. S. Bérczi, J. Böhm, A. Csáji, J. Cseh, Z. Dárdai, D. Erdély, K. Fittler, T. Fleischer, G. Fröhlich, E. Gaul, G. Gévay, G. Hajnóczi, E. Hartmann, S. Kabai, J. Karsai, M. Makai, C. Mezei, L. Ropolyi, L. Szabados, A. S. Szöllõsy.